Chronologically arranged list of E F Linton's specimens from the Hull University Herbarium (HLU) with an example of his handwriting. Many of Edward Linton's specimens have been documented on the Herbaria@Home website. Newspaper report of an incident while collecting with his brother in the Highlands, 1883. Edward Francis Linton was born in 1848 at Diddington, Hunts., the second youngest son of the Rev. Henry Linton, vicar of Diddington, and Charlotte née Richardson. From 1856 his father was rector of St. George-le-Bailey, Oxford and an honorary Canon of Christ Church, Oxford. Edward studied at University College, Oxford, before being ordained and appointed to parishes in Preston, Manchester and Sprowston, eventually moving to the Bournemouth area around 1890. He was an active member of the Botanical Exchange Club and, with his brother William, produced sets of willows, brambles and hawkweeds. He donated his herbarium to the British Museum (Natural History) but his specimens are also to be found in many other herbaria. (Kent & Allen 1984). A complete list of his publications is given in J. Bot. Lond. 1928. "BIRTHS. On the 16th inst., at Diddington, the wife of the Rev. Henry Linton, of a son." 1866 October : Oxford Matriculates as a member of University College, Oxford. Awarded B.A. in 1871 and M.A. in 1873. 1871 : Preston Edward was appointed curate to his brother-in-law, Rev. W.M. Myres at St. Paul's, Preston, Lancs. 1875 September : Manchester Appointed Rector of St. George's, Manchester. "MARRIAGES. On the 15th inst., at Christ Church, Fulwood, by the Rev. Cannon Linton, assisted by Rev. W. M. Myres, Edward Francis Linton, rector of St. George's-in-the-Fields, Manchester, to Emily Maria, youngest daughter of the late Rev. George Weight, vicar of St. George the Martyr, Wolverton, Bucks." 1878 November : Sprowston Appointed Vicar of Sprowston, Norwich. "MARRIAGES - On 30th June, at St. Mary's Market Weston, by the Rev. Henry Linton, Honorary Canon of Christ Church, father of the bridegroom, assisted by the rev. J. D. Gray (jun. ), Vicar of Nayland, and the Rev. W. B. Gray, Vicar of Kersey, brothers of the bride, the Rev. EDWARD FRANCES LINTON, vicar of Sprowston, Norfolk, to MARY SOPHIA, only surviving daughter of the Rev. John D. Gray, rector of Market Weston." 1900 : Publication Flora of Bournemouth, including the Isle of Purbeck. Turnbull and Spears, Bournemouth. 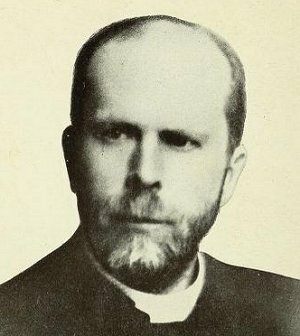 1902 February : Edmondsham Rev. E. F. Linton appointed Rector of Edmonsham, Dorset. 1911 : Publication The Hortons of Howroyde and some Allied Families. Horton, Linton & Richardson. 71pp, Cambridge. 1913 : Publication A monograph of the British Willows. J. Bot. Lond., 51 suppl. London.